Restaurant |Sports Bar Video System - Video Over IP and HDMI Video Connectivity Solutions. Sports Bar | Pubs provide a haven for your customers to bond and socialize through food, drinks and sports entertainment. Creating an immersive experience through first-class video system enhances the customer total experience and is the key that keeps your customers coming back. 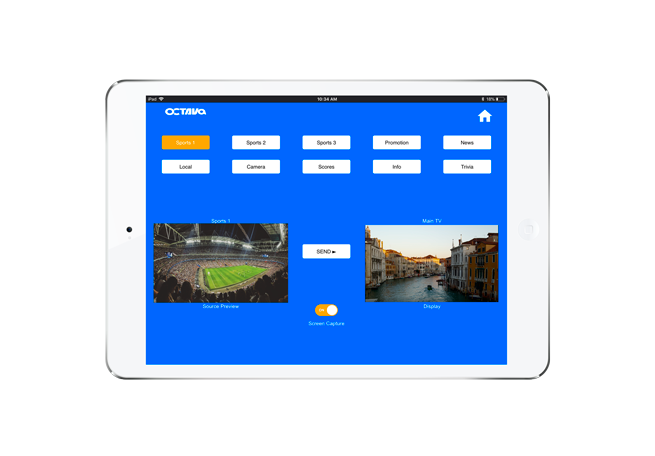 The Octava PRO DSX Video Over IP is a state-of-art modular/scalable/robust multi screen platform that meets the demands of video distribution for restaurants and sports bars. 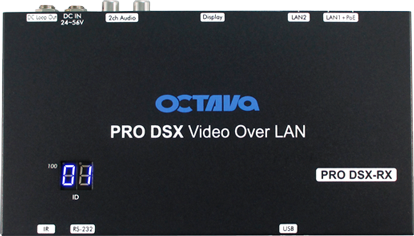 Easy to operate | Affordable | Versatile to meet virtually any dimension of video distribution. We provide turnkey multi-screen video display solutions for restaurants and sports bars. 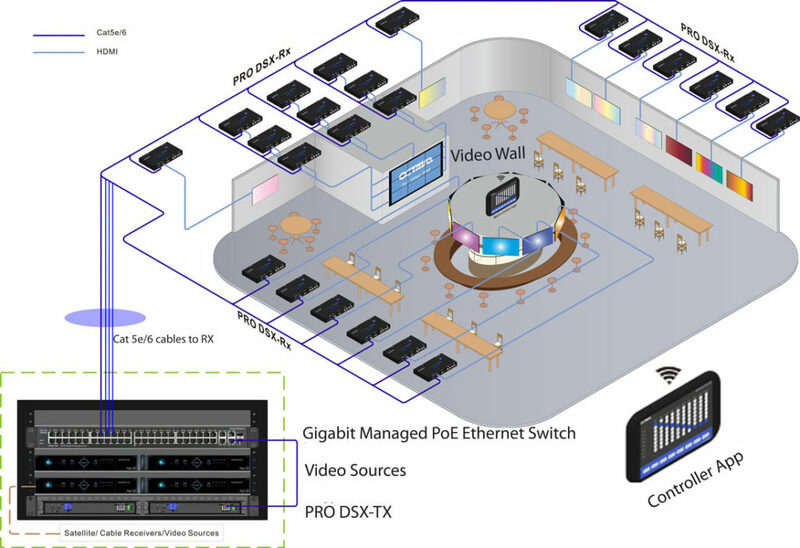 Our innovative Networked HDMI Video over IP solutions are designed for the facility owner/staff that is easy to operate, maintain and grow. 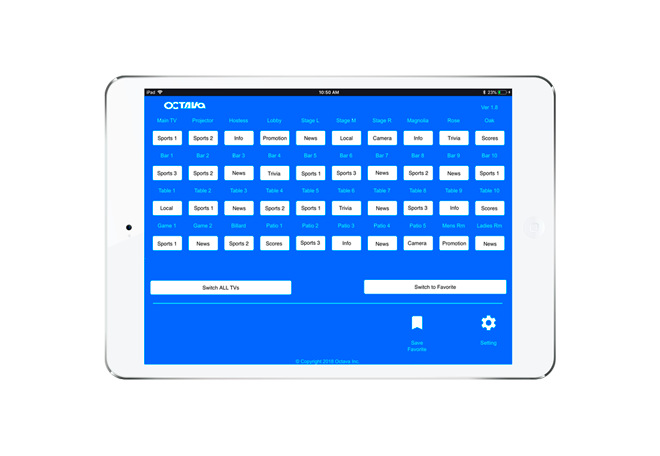 Intuitive control interface to control entire system. "As you know we deployed your system and it’s working well." Need a Video Wall Display?